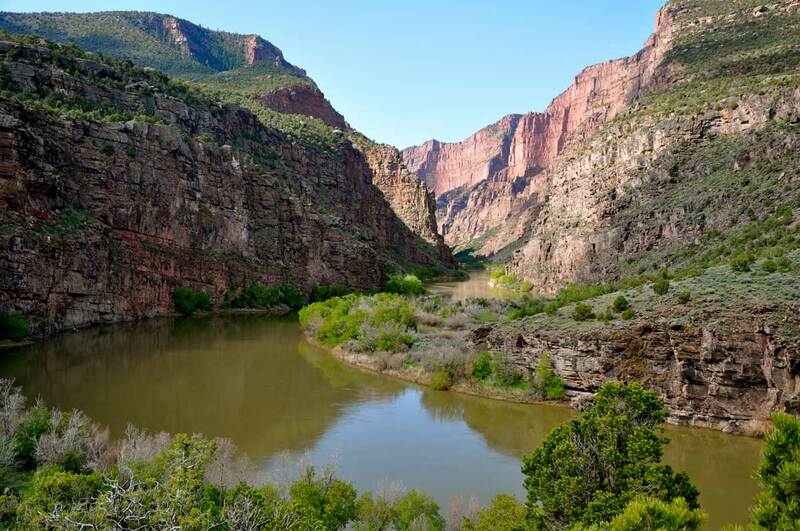 Nearly two million acres of untouched public lands and free-flowing rivers greet your travel-weary eyes as you drive through northwest Colorado’s Moffat County. This off-the-beaten-path destination that includes the towns of Dinosaur, Craig and Maybell is ideal for nature lovers headed to Dinosaur National Monument, river-rats wanting to float on the Yampa River and history buffs scouting for rock art. The “Where the Hell is Maybell” Bike Ride is a 30-mile varied terrain ride with free registration, so get off that Peloton and onto a real mountain bike. From the seat of your bike, you’ll get to see Colorado’s Great Northwest like no other, starting in Craig and ending in downtown Maybell. No need to be Lance Armstrong — you can go at your speed and take in the beauty as it unfolds around you. Feel like you’re part of a John Wayne-style western at the Sombrero Ranches’ Great American Horse Drive. More than 600 horses trot through the heart of Maybell. You’ll want to photograph these beasts before sitting down for lunch and a party. In downtown Craig, walk through vendors selling their wares at the Spring Expo or stop by the Home and Garden Show featuring landscapers, contractors and artisans to jump-start your improvement projects. Tee-off at the Dirt Hog Golf Tournament hosted by the Yampa Valley Golf Association; there will be prizes and payouts for teams of four. Attend the Sand Wash Basin “Blessing of the Land” ceremony by Ute tribe members or go on a Bureau of Land Management-led geology tour. Then get out on the water during the Yampa River educational float and, later, check out the Museum of Northwest Colorado’s art exhibit. Soaring 1,000-feet above the Yampa Valley, Cedar Mountain just north of Craig, consists of 880 acres of public lands complete with mountain biking, horseback riding and cross-country skiing. The horseshoe-shaped, juniper-rimmed mountain stands tall overhead the 3.5-mile Stearns Trail, for all hiking levels, on which you can see mule deer, marmot, foxes, coyotes and more. Or hike to the top of the chalky-white sandstone for countryside views. Breathtaking canyon walls of varying colors surround the Yampa River at Cross Mountain Canyon, optimal for a day excursion or camping trip. Just west of Maybell, you’re treated to views of Bakers Peak and Mount Zirkel. Black Mountain also rises from the Routt National Forest, with gravel roads to take you to Lost, Slater and California Park, this peak has jaw-dropping overlooks and vistas of the Rocky Mountains. Plus, the area has many picnic and camping sites as well as fishing holes and wildlife spotting opportunities. Challenge the famous cataracts of Mammoth Falls, the Snake Pit and Pour Over City on your raft before drying off on a hike through the canyon. 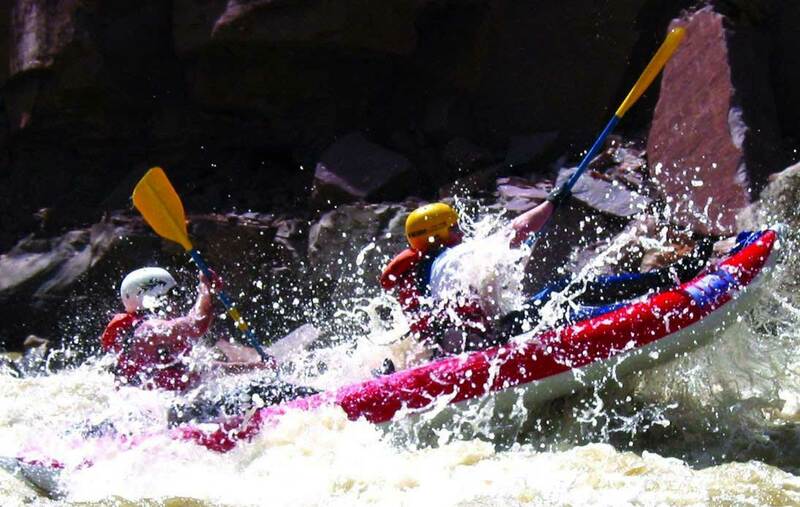 Explore Little Yampa Canyon on a 39-mile flat-water float trip — the whole family is invited as this is a calm, flat stretch of the river. Look for slightly hidden Native American rock art, wildlife and the sense of solitude that comes with floating down a river not many visit. While there, go off-roading or hunting. Wrestle with your dinner at Elkhead Reservoir, where bass, crappie, pike and rainbow trout swim below the surface of the 900-acre man-made lake. If fishing isn’t your jam, the reservoir, just 9 miles outside of Craig, is also a water- and jet-skiing paradise. Are you a landlubber? Eleven miles of trails greet hikers, cross-country skiers and snowshoers. And with 50 campground spots, Elkhead is excellent for a majestic getaway. 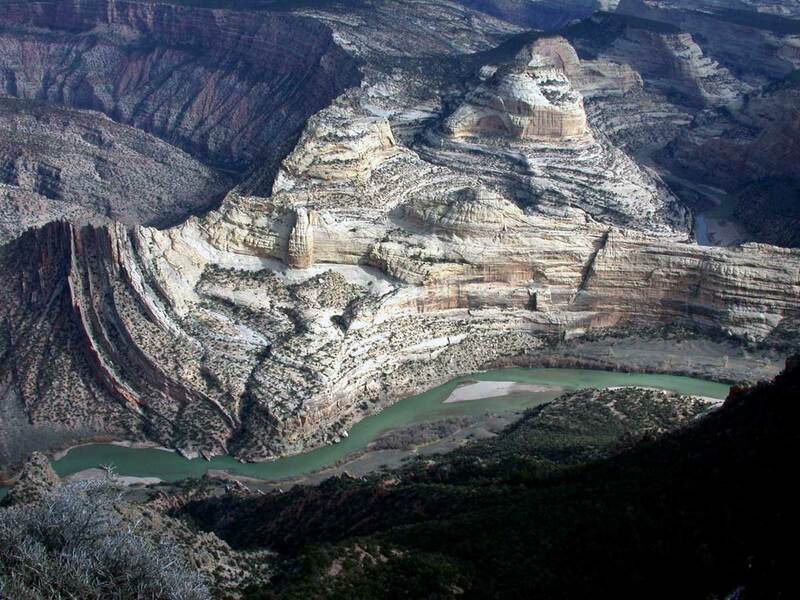 While Dinosaur National Monument is known for dino tracks, the beauty is unparalleled — 23 colorful rock layers of Colorado plateau are exposed at this massive monument. Hike around the park to see the canyons, mountains, basins, archeological sites or whitewater raft on the Yampa and Green Rivers. 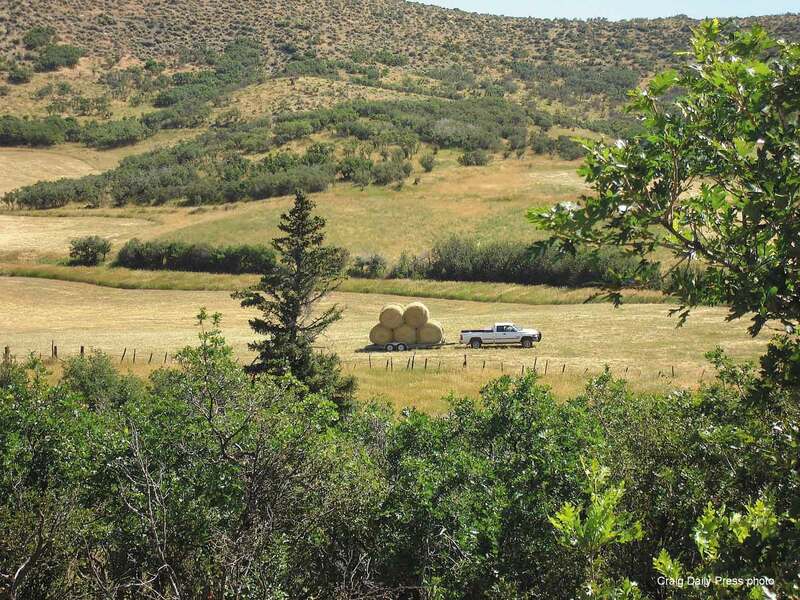 A scenic drive along Harpers Corner Road will show you changing ecosystems and striking viewpoints. Or visit the photogenic Gates of Lodore, accessible by trail or raft, for its tranquility and sheer wow-factor. In this high-desert valley, formed by the Green River, more than 300 native and migratory species coexist, making for the perfect family experience. 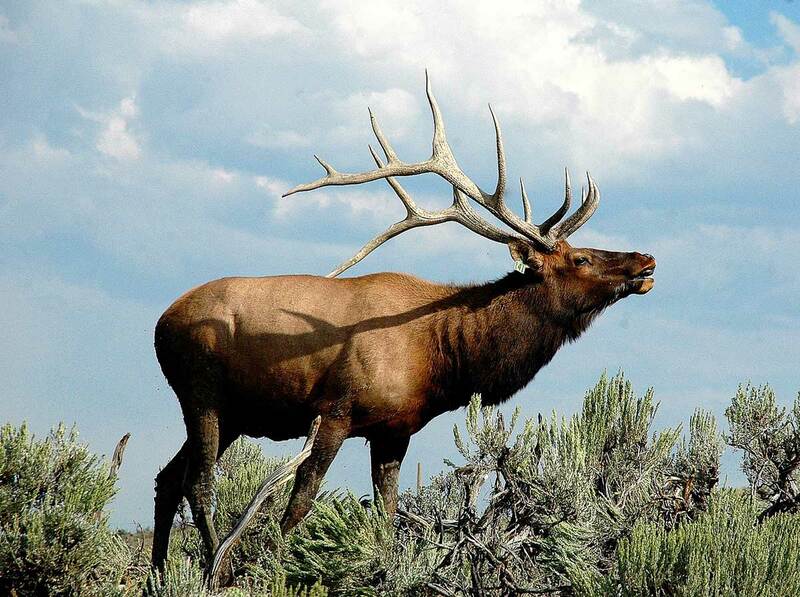 Sagebrush creates a swishing symphony in your ears as you spot pronghorn, bighorn sheep, mule deer, black bears and moose at Browns Park National Wildlife Refuge. In the multi-colored Irish Canyon, spot Native American rock art or go see Vermillion Falls, a 25-foot waterfall. If the kids are looking for an adventure, cross the historic Swinging Bridge, recently restored, over the Green River. Sand Wash Basin is home to one of the few remaining herds of free-roaming wild mustangs in the United States. Your eyes and camera shouldn’t miss the hundreds of greys, sorrels and pintos running free as the sunsets with mountain peaks in the background. To get around the area, an OHV or dirt bike is ideal. 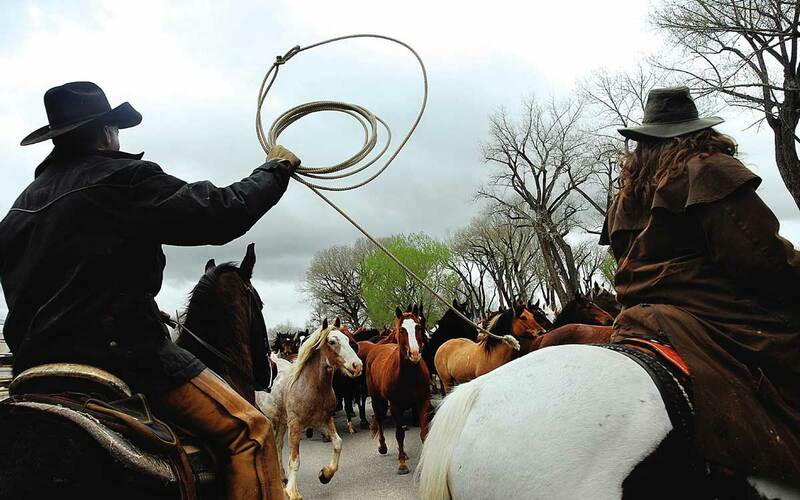 Late-May brings Grand Old West Days, a weekend full of fun for the whole family. Whoop and holler for bronc riders, listen to the concert, hear peals of laughter on the carnival rides and show off your two-steppin’ at the barn dance. A dozen experienced wood carvers go head-to-head at Craig’s Whittle the Wood Rendezvous. 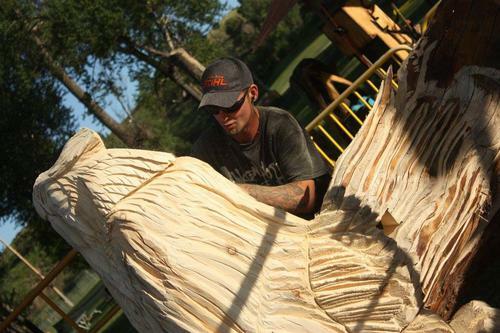 These masters let wood-chips fly as they carve a tree trunk into a masterpiece in four days. While you watch them progress, you can take part in live music, a barbecue, the beer garden and the Bear River Young Life Car Show. Cars of all shapes and sizes line the streets of downtown Craig after cruising along Yampa Avenue for prizes. A rainbow collection of hot air balloons soar above your head during early-August’s Moffat County Balloon Festival. You have to get up early to watch the balloons take off if you want to capture those gorgeous sunrise photos, but then you can participate in the 5K fun-run and the evening concert.